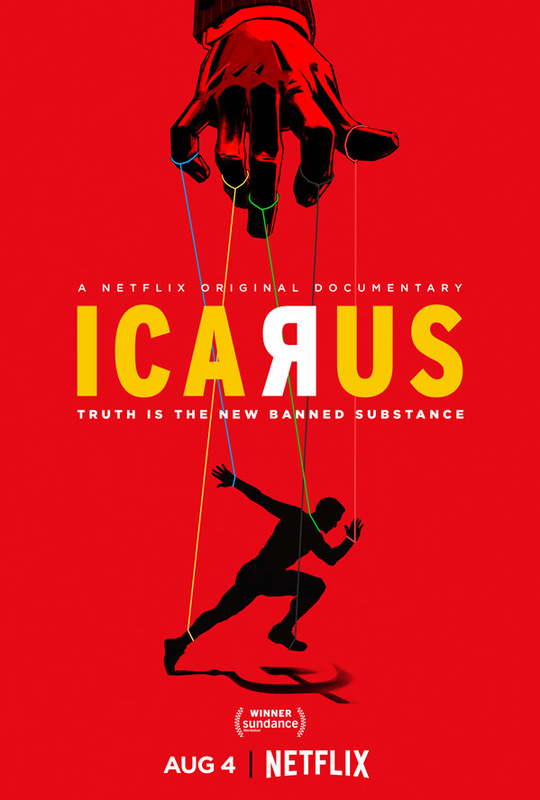 "It's worse than we thought…" Netflix has debuted a trailer for the documentary Icarus, a remarkably eye-opening, can't-believe-it's-true story about the Russian sports doping controversy. The film premiered at the Sundance Film Festival to rave reviews, and deserves your time and attention for being so bold and brave in telling the truth. Directed by Bryan Fogel, the film follows Fogel as he initially begins training for cycling competitions, recruiting Russian expert Dr. Grigory Rodchenkov to help him take performance enhancing drugs in an attempt to pull it off. Along the way he falls into a crazy story of deception and friendship as the two work together to tell the truth about Russia's program and its gold medal wins at the Sochi Olympics in 2014. I saw this film at Sundance and it's fascinating, I can't recommend it enough to everyone. Take a look. When Bryan Fogel sets out to uncover the truth about doping in sports, a chance meeting with a Russian scientist transforms his story from a personal experiment into a geopolitical thriller involving dirty urine, unexplained death and Olympic Gold-exposing the biggest scandal in sports history. Icarus is directed by athlete-filmmaker Bryan Fogel, who started out as an Olympic cyclist before making this documentary. He also directed the feature film Jewtopia previously. This first premiered at the Sundance Film Festival, where it won "The Orwell Award"; it also played at the Sheffield Doc/Fest this summer. Netflix will release Icarus streaming exclusively starting August 4th later this summer. Definitely worth a watch - add it to your list.